"An accessible, engaging text with carefully supported information and topical examples. It was an excellent foundation source for students in my interdisciplinary environmental studies course..."
"One of my favorite parts about the book was that it began each chapter by framing the environmental issue it was discussing in a real-world example. It gave us something to come back to whenever we were applying concepts..."
"When I asked students to recommend changes to the course, they overwhelmingly said: keep the textbook! 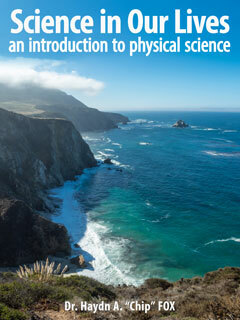 Environmental Science gives students a detailed review of critical areas of the natural sciences AND a reason to care." "The information is clearly organized and easy to read and understand. I like how... there are supplemental videos for further understanding. I always know I can reference your e-text to answer any questions I may have. " "To fill the market gap left by current texts, we have integrated information about the interaction between humans and their environment to develop a coherent body of knowledge instead of an amalgamation of facts." 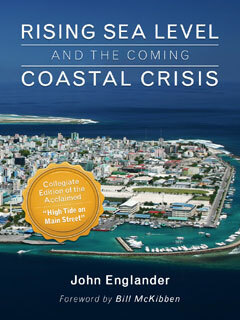 "Our chapters integrate energy, economics, and policy to convey the serious nature of environmental challenges... to examine the root causes of these challenges and their wide-reaching effects"
"We aim to identify relevant environmental problems, understand the basis of those problems, and develop the tools necessary to solve those problems while concurrently establishing a framework." "... and in addition to having a more complete understanding of existing environmental problems, students will obtain the tools necessary to make sense of new environmental problems." "Students are more engaged with the course material because it is up-to-date and interactive - and the integrated social capability helps students collaborate with each other based on the course material." 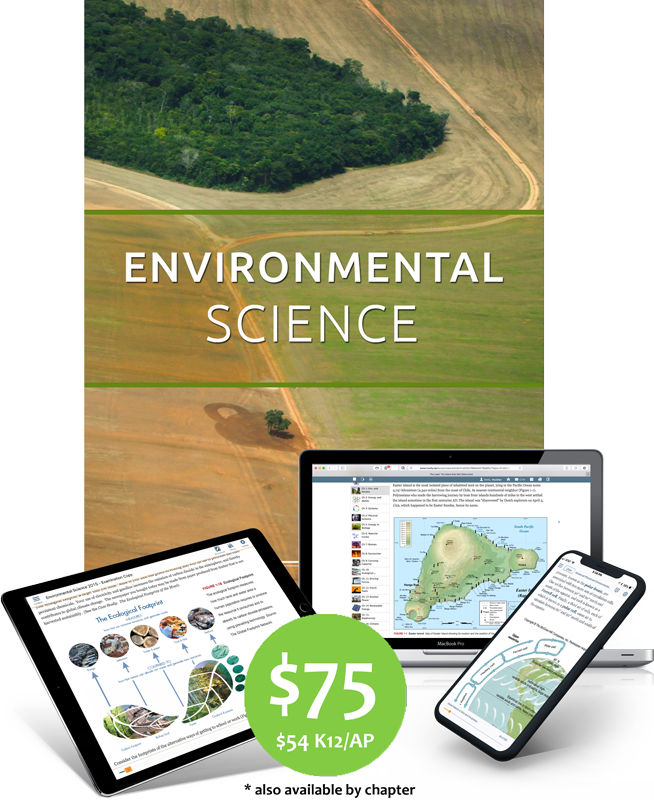 Environmental Science 2018, by Robert Kaufmann and Cutler Cleveland, is the most flexible and customizable environmental science textbook on the market. It provides thorough coverage of the key topics in environmental science, and integrates ecology, economics and policy using energy and material flows and a systems perspective. The science underlying sustainability is communicated with simple but engaging content with real-world applications. The 2018 edition contains new and revised content on climate change, energy, biogeochemical cycles, biodiversity, forests, and ocean and atmospheric circulation. Designed as a core curriculum textbook it comes complete with all the resources you need to teach your class. The free, built-in learning management, assessment, gradebook, assignment, social note taking and authoring functionality, provides you and your students with a fully modern digital learning solution that promotes active learning. ​Use the tools built into the Trubooks platform to customize Environmental Science 2018 to meet the specific needs of your course, keep it relevant to local interests and in tune with world events as they happen. ​You may even mix and match chapters from from other Trubooks to create a combination textbook for your students. Chapter 1 Environment and Society: A Sustainable Partnership? + The Lead: Is Lead A Marvel or Villain? Chapter 3 Systems: Why Are Environmental Problems so Difficult to Solve? + Why Are Systems So Hard to Manage? + Case Study: El Niño: A Link among Atmospheric, Oceanic, and Crustal Circulation? + The Lead: Smart, Fast Dinosaurs? + Case Study: Will Catching Fewer Fish Restore the Marine Food Web? + Policy in Action: Can We Catch More Fish by Moving Down the Food Chain? + How Does Succession Work? + Policy in Action: Does Suppressing Small Fires Create Large Fires? + The Lead: What Does the Collapse of Easter Island Mean to You? + Does Carrying Capacity Apply to People? + Case Study: How Much Harvest Is Sustainable? + Should We Use the Logistic Curve to Manage Renewable Resources? + Case Study: Can Human Ingenuity Substitute for a Degraded Environment? + Case Study: Do More Efficient Automobiles Reduce Motor Gasoline Use? + Policy in Action: Reducing Gasoline Consumption: CAFE Standards or Higher Prices? + Nuclear Power: A Faustian Bargain? + Policy in Action: Should Taxpayers Subsidize Civilian Nuclear Power? + Policy in Action: What Should the Role of Government Be in Shaping Our Energy Future? + Case Study: Does Ethanol Have a Positive Energy Balance? + Case Study: Why So Many Fish Species? + Is the Climate Changing and are People Responsible? + How Will Humans Change Climate? + Climate Change Policy: What Should be Done? + Policy in Action: Which Comes First: The Supply or Demand for Energy-Efficient Capital? + Case Study: Where Has All the Soil Gone? + How Quickly Are Forests Being Cut (and Regrowing)? + Policy in Action: Sustainable Forestry Practices: What Price and Who Pays? + Scale: An Upper Limit on Size and Economic Well-Being? To fill the market gap left by current environmental texts, we have integrated information about the interaction between humans and their environment to develop a coherent body of knowledge instead of presenting an amalgamation of facts scattered throughout the book. Because teaching concepts and ideas can be a formidable challenge for instructors unfamiliar with the terminology used to discuss ecological and economic systems, we have introduced these concepts and terms in small doses throughout the text. Teaching ideas in conjunction with facts will expand the goals of the introductory environmental science course; and in addition to having a more complete understanding of existing environmental problems, students will obtain the tools necessary to make sense of new environmental problems. 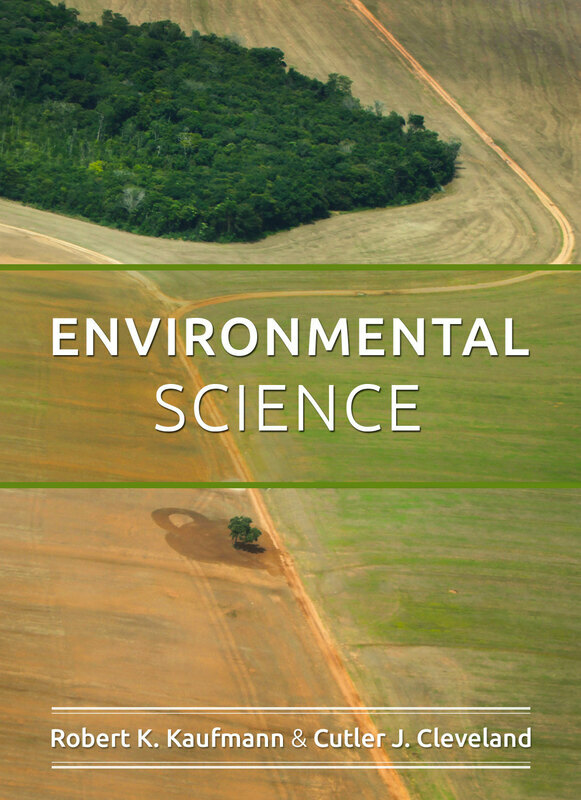 ​In addition to employing an interdisciplinary approach, we aim to identify relevant environmental problems, understand the basis of those problems, and develop the tools necessary to solve those problems while concurrently establishing a framework that teachers can use and students can read as they would an introductory text in biology, chemistry, or economics. "Customization" is a buzzword in today's textbook publishing world. Environmental Science 2018 is truly customizable, as evidenced by two important features. First, instructors can hand select the chapters they want to use from our master inventory of chapters. They can then arrange the sequence of those chapters to match their syllabus. Second, instructors can add their own content to the version of the book they order for their class. This includes images, animations, labs, assignments, lecture notes, PowerPoints, etc. Built in learning management tools for quizzes, exams, assignments, auto-grading functionality, and integrated gradebook. The following outline of major topics serves to describe the scope of the Advanced Placement® Environmental Science course and exam. The percentage after each major topic heading shows the approximate proportion of multiple-choice questions on the exam that pertain to that heading. Advanced Placement Program® and AP® are registered trademarks of the College Board . Their use here does not imply in any way the participation, support, or endorsement by the College Board of this product. 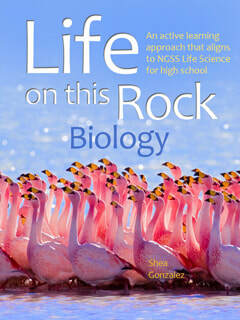 "Environmental Science is an accessible, engaging text with carefully supported information and topical examples. It was an excellent foundation source for students in my interdisciplinary environmental studies course, providing students from diverse majors with a common understanding of key scientific processes and ideas and their relevance to pressing socio-environmental issues and ethical challenges. The book is intuitively organized and easily connects with current events, primary literature from the natural and social sciences, and documentary film. When I asked students to recommend changes to the course, they overwhelmingly said: keep the textbook! 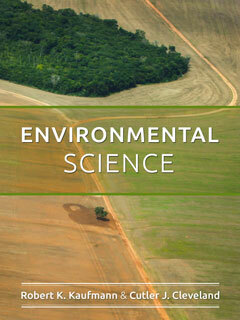 Environmental Science gives students a detailed review of critical areas of the natural sciences AND a reason to care." "One of my favorite parts about the book was that it began each chapter by framing the environmental issue it was discussing in a real-world example. It gave us something to come back to whenever we were applying concepts throughout the class, as well as future chapters. It was also a great way to test your understanding, because if you could explain a concept through the chapter lead, you really knew what was going on." "The information is clearly organized and easy to read and understand. I like how definitions are linked to vocabulary words and there are supplemental videos for further understanding. I always know I can reference the e-text to answer any questions I may have." "To fill the market gap left by current environmental texts, we have integrated information about the interaction between humans and their environment to develop a coherent body of knowledge instead of presenting an amalgamation of facts scattered throughout the book." "The twenty-four chapters in this text go well beyond simple descriptions of coal mines and solar cells. Our chapters integrate energy, economics, and policy to convey the serious nature of environmental challenges, such as rising oil prices, and to examine the root causes of these challenges and their wide-reaching effects. While doing this, we also emphasize our optimism regarding the resolution of these problems. Students will understand by the end of the course why oil’s high costs extend far beyond paying more at the pump and how these costs affect our economic well-being and interactions with the environment." 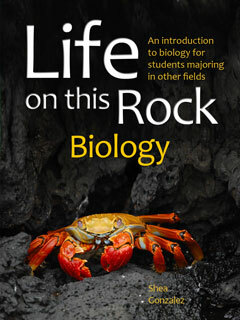 "In addition to employing an interdisciplinary approach, we aim to identify relevant environmental problems, understand the basis of those problems, and develop the tools necessary to solve those problems while concurrently establishing a framework that teachers can use and students can read as they would an introductory text in biology, chemistry, or economics." "Teaching ideas in conjunction with facts will expand the goals of the introductory environmental science course; and in addition to having a more complete understanding of existing environmental problems, students will obtain the tools necessary to make sense of new environmental problems." 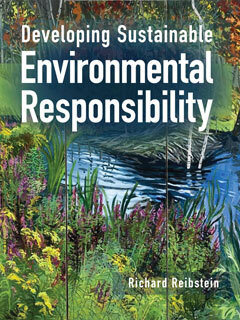 "More than 100 environmental science instructors guided this text to improve its organization, accuracy, and currency. Every illustration was evaluated by a special panel of reviewers to ensure its accuracy and appropriateness. After having been class-tested, carefully appraised, and meticulously scrutinized, we hope to inspire confidence and enthusiasm for a stimulating new approach in environmental science texts." Co-author Cutler Cleveland gives an overview of his Environmental Science textbook on the Trunity platform, how to adopt for teaching your course, how how to use embedded learning management tools and how to customize. 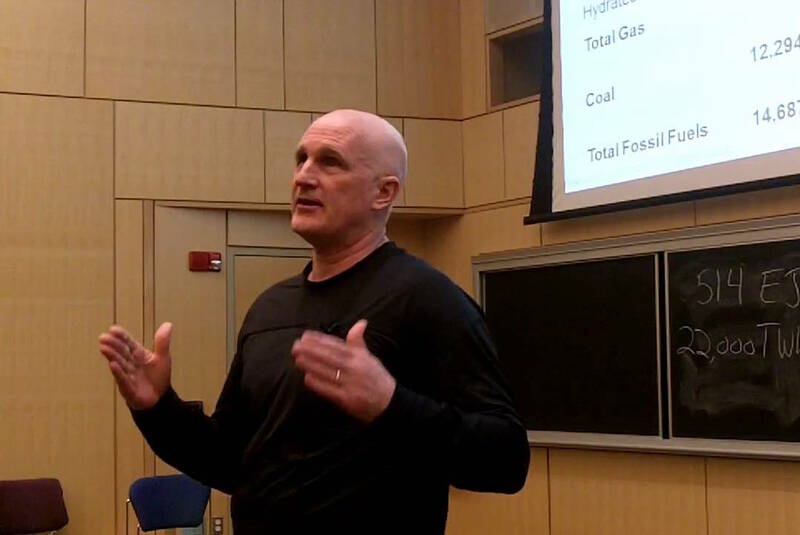 Co-author Cutler Cleveland gives a talk on climate change and the transition to sustainable energy, which gives a sampling of the kinds of topics covered in Environmental Science. Robert K. Kaufmann is Professor of Earth and Environment at Boston University. Before coming to the BU, he was an economist at the WEFA Group and Chase Econometrics and a research scientist at Complex Systems Research Center at the University of New Hampshire. He received his PhD at the University of Pennsylvania in 1988 and a BS from Cornell University in 1979. 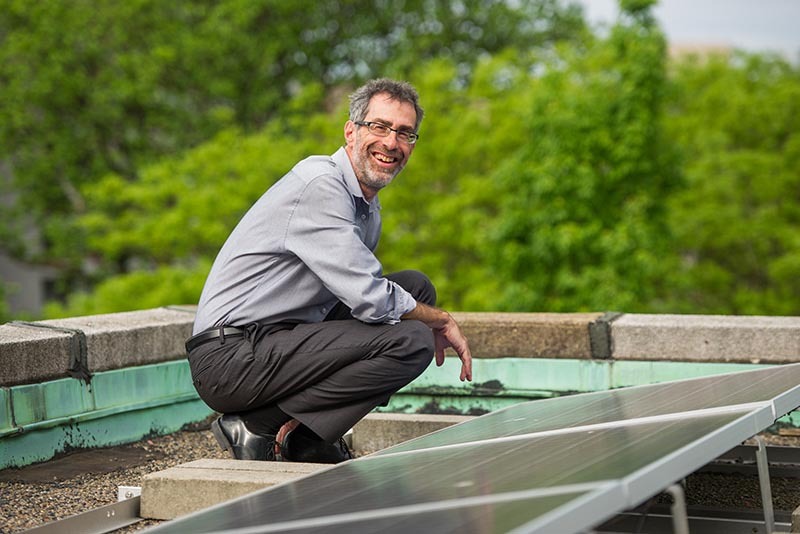 Professor Kaufmann teaches several undergraduate classes in energy and the environment, including Introduction to Environmental Science, Intermediate Environmental Science, and a course about environmental history. At the graduate level, he teaches classes in resource and environmental economics, ecological economics, and applied time series econometrics. In addition to Environmental Science 2018, Professor Kaufmann has written two other books, several book chapters, and more than sixty peer review papers on topics ranging from world oil markets, global climate change, and land use change to the global carbon cycle and ecological economics. Appearing in a variety of natural and social science journals, including Science, Nature, and Proceedings of the National Academy of Sciences, these papers have been cited more than one thousand times and have won awards from the International Association of Energy Economists, Scientific American, and the U.S. Wildlife Federation. Interviews with the author and his research results have appeared on the NBC Nightly News and the CBS Nightly News programs, as well as in National Geographic, Reader’s Digest, and about a hundred newspapers, including The Wall Street Journal, The New York Times, and The Financial Times. Professor Kaufmann’s research efforts have been funded by approximately a million dollars in grants from institutions such as the National Science Foundation, NASA, the U.S. Environmental Protection Agency, and the Betty and Gordon Moore Foundation. In addition to doing consulting work for Nomura Securities, the European Central Bank, the World Bank, and the U.S. Department of Energy, Professor Kaufmann has also served as a panel member for the Intergovernmental Panel on Climate Change, the NASA Land Use/Land Cover Change Steering Committee, and the Project LINK Modeling Center, which maintains a global econometric model for the United Nations. Professor Kaufmann is married to Shauna Tannebaum, and together they have two children, Rachel and Eve. In addition to “nachas from kinder,” his happiness comes from racing his bicycle, looking for snakes and lizards while hiking, and fishing with his brother David in the fabulous Florida Keys. Cutler J. Cleveland is Professor of Earth and Environment at Boston University, with additional appointments in the Institute for Sustainable Energy and the Pardee Center for the Study of the Longer Range Future. 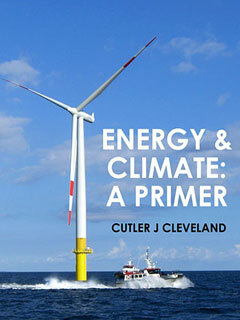 Dr. Cleveland is author and editor of acclaimed reference works on energy that include the Encyclopedia of Energy (Elsevier, 2004), winner of an American Library Association award, the Dictionary of Energy (Elsevier, 2005), the Concise Encyclopedia of the History of Energy, and the Handbook of Energy (Elsevier, 2013). He is the Founding Editor-in-Chief of the Encyclopedia of Earth, named the Best Geoscience Website by the Geoscience Information Society. Dr. Cleveland is the recipient of the Adelman-Frankel Award from the United States Association of Energy Economics for “unique and innovative contributions to the field of energy economics.” He is co-author of Environmental Science 2018, the Web’s first entirely electronic introductory textbook on the subject. Dr. Cleveland’s research on the valuation of ecosystem services, funded by the National Science Foundation, is highlighted in NSF’s Top Discoveries series. Dr. Cleveland has been a consultant to numerous private and public organizations, including the Asian Development Bank, the United Nations Commission on Sustainable Development, Charles River Associates, the Energy Information Administration, and the U.S. Environmental Protection Agency. Dr. Cleveland holds a B.S. in Ecology from Cornell University, a M.S. in Marine Science from Louisiana State University, and a Ph. D. in Geography from the University of Illinois at Urbana-Champaign. This Trubook can be customized to fit your needs. You could choose to purchase select chapters and even combine with chapters from other Trubooks. The price is pro-rated based on content included in customized version. For more info, see our Trubook FAQ, or go straight to our Adoption Form.